In the last month, many acts of terror have shaken the planet. More than ever, we need to be kind to each other. Be kind to your loved ones. Offer to help. Let someone go in front of you when you are waiting in line, whether in the car or at the cash register. Offer to help the elderly cross the street. Be polite and mindful of your tone of voice and choice of words when talking to a customer representative. Acknowledge the clerk as a true human being, as you enjoy a brief eye contact, and deliver a heartfelt hello. It is very easy to be kind and it makes the world a better place. Practice random acts of kindness. It’s easy. 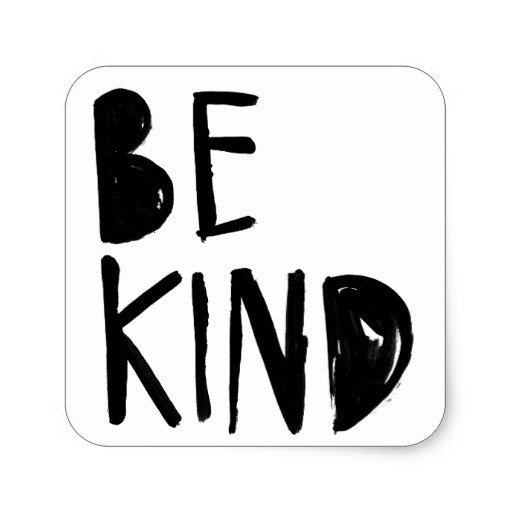 You can order your Be Kind bumper sticker here.